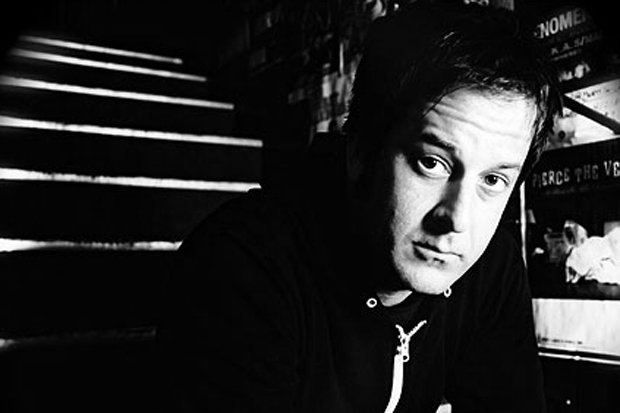 Many websites are reporting that NO USE FOR A NAME singer Tony Sly has passed away at the age of 41. His official cause of death is unknown. Sly joined NO USE FOR A NAME in 1989 and appeared on all of their full-length studio albums and various EPs. The band announced last June that a new album was in the works. Other than working with NO USE FOR A NAME, he released several solo acoustic records, including a pair of releases with his friend Joey Cape of LAGWAGON. Sly and Cape also teamed up together in the side project SCORPIOS with Jon Snodgrass and Brian Wahlstrom. Rest in peace, Tony, you will be missed. Losing our beloved Anthony Sly is a nightmare… For those who wants to help financially, we have set up a fund that will 100% benefit his two beautiful daughters. Donations can be made at a Wells Fargo Branch using that account name or number. If you are already a Wells Fargo customer you can transfer funds by just using that same account number. God bless all of you for your beautiful thoughts and prayers. PUBLISHED on August 2, 2012. UPDATED on August 7, 2012 – A memorial fund information added.